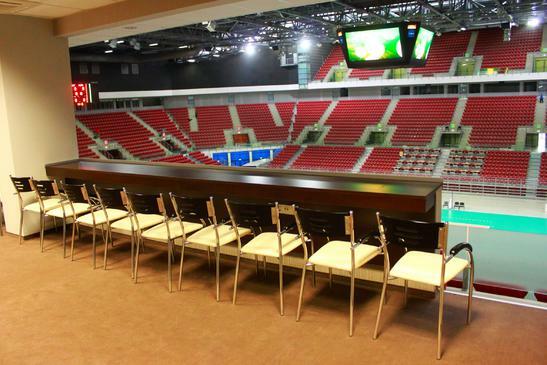 The VIP boxes are situated on level 2 in sectors A2, B2 and C2 with total capacity of 206 seats. Some of the VIP boxes can be arranged as offices if needed. Most of them have their own sink and some are equipped with WC. The access to the VIP boxes is organized with separate elevators and staircases.